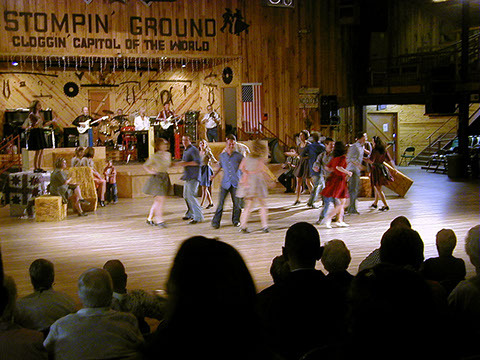 If you want to see a variety of Appalachian and other American group dance styles performed all in one place and all at the same time, the Stompin' Ground is the place to go. A spacious lobby showcase exhibits telling the history of mountain dance and the dance floor itself is enormous--sixty by eighty feet. 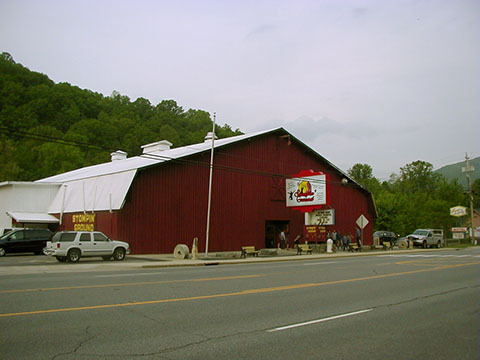 Seating on two levels to accommodates nearly a thousand people while the band plays a variety of mountain and popular music, ranging from old-time fiddle and bluegrass tunes to contemporary country hits. 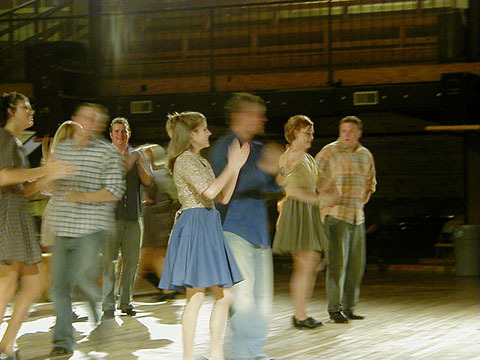 Couples wearing matching outfits--shirts, boots, scarves, and hats--enjoy dancing the mountain two-step, while the members of organized and practiced dance groups perform square dance, clogging, and line dancing with exact precision and audience members are frequently encouraged by the emcee to join in on the dance action. 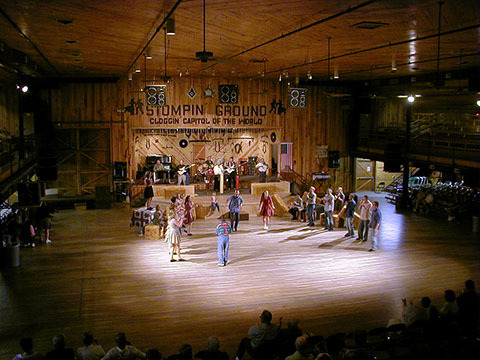 The Stompin' Ground hosts clogging competitions throughout the year. 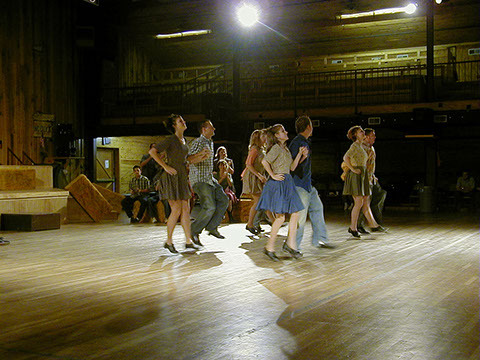 At these events, as many as a thousand mountain cloggers spend the night dancing and standing in line waiting for their turn. The band plays a variety of mountain and popular music, ranging from old-time fiddle and bluegrass tunes to contemporary country hits.